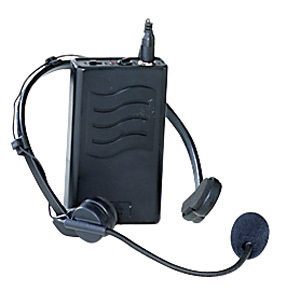 Wireless headset microphone accessory for Oklahoma Sound lecterns only. Includes pocket-size transmitter with a headset mic. Uses a 9 volt battery. Select channel A or B to eliminate outside frequency interruption. Move freely up to 200 ft. away!